There are a huge number of visitors who enjoy the sightseeing of Clearwater which is one of the most favourite locales not only for the people of Florida but for visitors from all over the world. The fascinating beaches, shopping venues, top quality accommodations, superb restaurants, fun filled charter boat fishing and many other sources of entertainment have made Clearwater a lucrative place to visit. 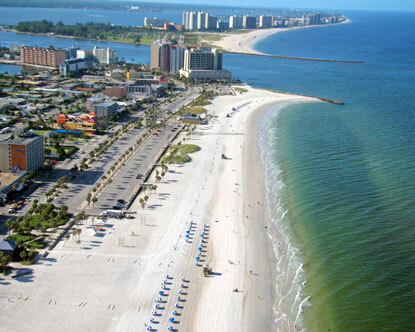 If you love sightseeing and have not yet visited Clearwater then you have missed a lot of fun. Take guidance from the post and enjoy visiting Clearwater whenever you plan to visit Florida. First of all, you should make an online research for getting information about different attractions of Clearwater before planning your visit. Write down every attraction of Clearwater that you think is important one because this list will help you to plan your tour accordingly. Visitors who come to Clearwater always enjoy watching Marine Aquarium in which rehabilitation of marine animals is being controlled and then these animals are released into the wild. You will see a fascinating scene of sharks, dolphins, otter, turtles, stingrays and many other types of sea animals. Florida Botanical Gardens is also a fascinating attraction of Clearwater and visitors from all over the world love to enjoy the displays of beautiful tropical plants coupled with the native plants of Florida. You can also visit the Suncoast Seabird Sanctuary where you will see countless sea birds of different species. Injured birds are also treated here and there are suitable facilities for the rehabilitation process of sea birds. If you like swimming, then you will enjoy no other place more than the Clearwater Beach. It remains open from 9 a.m. to 4:30 p.m. and you can enjoy the beach showers, cabana rentals, rest rooms and concessions stands at this fascinating beach. The exotic Caladesi Island State Park is one of the most lucrative attractions of Clearwater. This is the top ranked beach in the whole North America and countless visitors love to spend their weekends and vacations here. You should arrive at Clearwater early because parking is limited in almost every visiting place at Clearwater which makes it hard to find a suitable place for parking for those who arrive late. The exotic restaurants are another mouth watering attraction of Clearwater and visitors cannot resist having their meals at these restaurants that offer a huge variety of local and continental cuisines. You can easily find a Cafe of your own choice because there are a huge number of Cafes in Clearwater area. Take a tour guide with you if you can afford it. It will make your tour memorable as a tour guide will help you in visiting all major attractions of Clearwater.